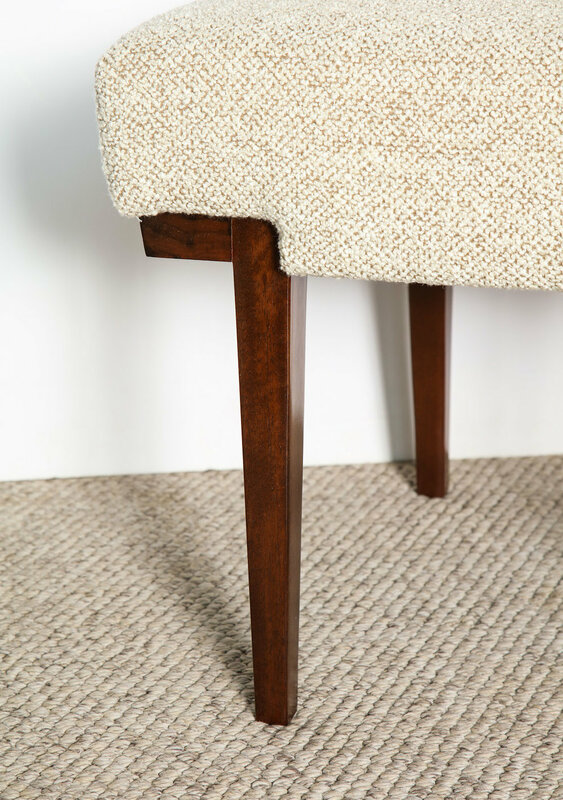 Great architectural design of mahogany frame with recent boucle upholstery. 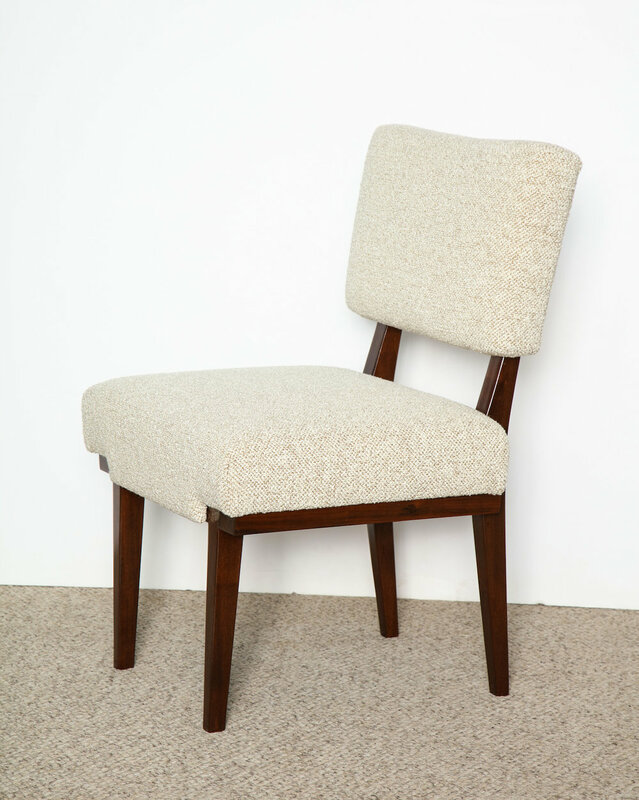 This chair is slightly lower than a standard desk chair and a great height for a dressing table. 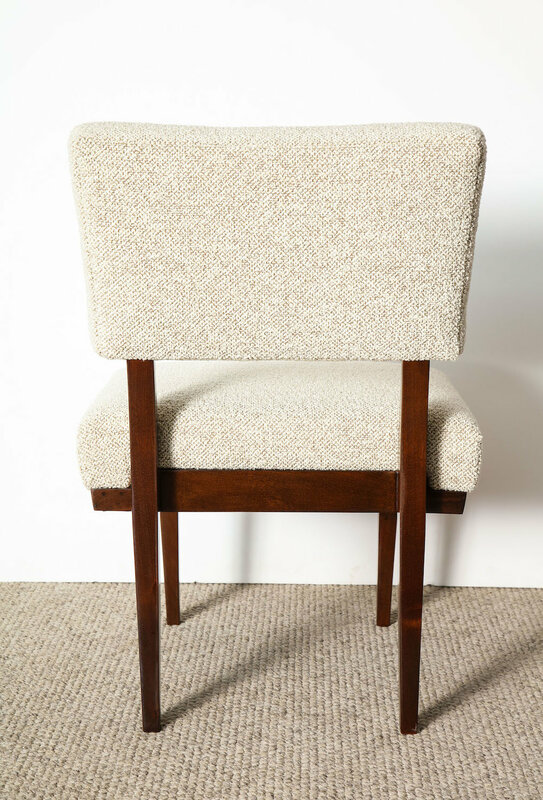 h. 33" w. 22.5" d. 22.5" seat h. 17"
Excellent condition, the wood has been refinished and the seat & back reupholstered.